The operator of a company in Nelson was recently found to be guilty of unjustifiable dismissal – and slapped with his third pay out in under a decade. A Nelson based company was recently found to have unjustifiably dismissed an employee – the third case of unfair dismissal involving the company’s owner in seven years. The ERA ordered the company, Croisilles Oysters, to pay the former employee $14,000 in compensation for breaching her contract, including events which led the employee with “little realistic option” but resignation. ERA member David Appleton ruled that Kartina Kerr, formerly employed as an oyster opener, had been unjustifiably dismissed and disadvantaged in her employment. It was also ruled that the organisation had undergone a shutdown period which breached her employment agreement as well as the Holiday Act. Kerr began working for Criosilles in October 2013 on an individual employment agreement. The contract stated that the company was subject to winter and Christmas shutdowns, during which time employees were required to take annual leave. On the final working day before the Christmas shutdown, employees were told that the factory shutdown would be extended by two weeks. During the shutdown period, Kerr discussed the extension with the factory managers, questioning whether she would be paid for six public holidays. The managers informed Kerr that she was not entitled to these – she was also told that the shutdown period would be extended even more, and that Kerr’s employers would notify her when she should return to work. According to Kerr, she was given a restart date. One of the managers told Kerr that her contract was “null and void,” because new contracts were being written up. Kerr was also told that staff were being called back to work hierarchically, with the most senior staff members starting first. However, Kerr believed that she had lost her job because of her discussion with managers over public holiday pay following the extension of the shutdown. Kerr resigned in February last year, raising a notice of personal grievance for constructive dismissal. It was ruled by the ERA that she should have been paid over the shutdown, excluding the public holidays. It was also found that the company breached legislation by not offering Kerr work because she was not senior staff. Being told that her employment agreement was “null and void” led to an unjustified disadvantage for Kerr, it was ruled. The ruling stated that the employee was “left with little realistic option” aside from resignation. The actions of her employers were ruled as failing to be “fair and reasonable”. Kerr was entitled to remedies for the breaches of contract as well as the reimbursement of lost wages, which totalled around $14,000. A spokesman for the company said it was considering an appeal. 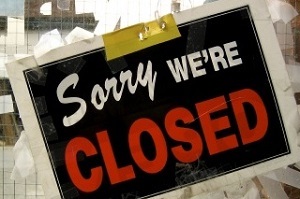 The employer is required to provide employees with at least 14 days’ advance notice of the closedown. the employer and employee agreeing to the employee taking annual holidays in advance and being paid, even though the employee is not yet entitled to annual holidays.